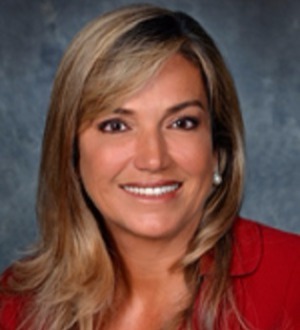 Jacqueline Arango is a partner in the Litigation practice. As a highly experienced litigator, Jacqueline represents businesses and individuals in a broad range of white collar criminal defense and complex civil matters. Jacqueline's practice includes internal corporate investigations, financial institution defense, government regulatory matters, and compliance counseling including advising clients on the Foreign Corrupt Practices Act. She also advises clients on a wide range of commercial litigation matters, including contractual disputes, securities and other class action defense, civil fraud claims, and insolvency matters. Prior to joining Akerman, Jacqueline worked for the United States Attorney where she served in various capacities. Most recently, she was appointed Deputy Chief of the Public Corruption and National Security Section where she oversaw public corruption and civil rights cases which included the investigation and prosecution of federal, state and local officials such as police officers, agents, prison superintendents, correctional officers, judges or other public officials for bribery, conflict of interest, embezzlement, extortion and other related offenses. In this capacity, Jacqueline was also responsible for the supervision, investigation and prosecution of international and domestic terrorism cases. Before that, she was appointed to the Narcotics Section, where she was promoted to the Deputy Chief of that section and supervised 15 narcotics prosecutors and oversaw drug trafficking and money laundering investigations. She has tried in excess of 50 cases to conclusion before a jury in federal court. Jacqueline also litigated commercial cases in private practice before joining the United States Attorney's Office. Jacqueline is also experienced handling international trade and economic sanctions matters. In the context of national security cases, she has handled numerous international weapons and sensitive technology trafficking cases involving the Arms Export Control Act (AECA), International Traffic in Arms Regulations (ITAR), Export Administration Regulations (EAR), International Emergency Economic Powers Act (IEEPA), and the Office of Foreign Assets Control (OFAC). Jacqueline has also served as an advisor to a United Nations subcommittee to prepare a resolution designed to enhance international cooperation in reducing small arms and light weapons proliferation.